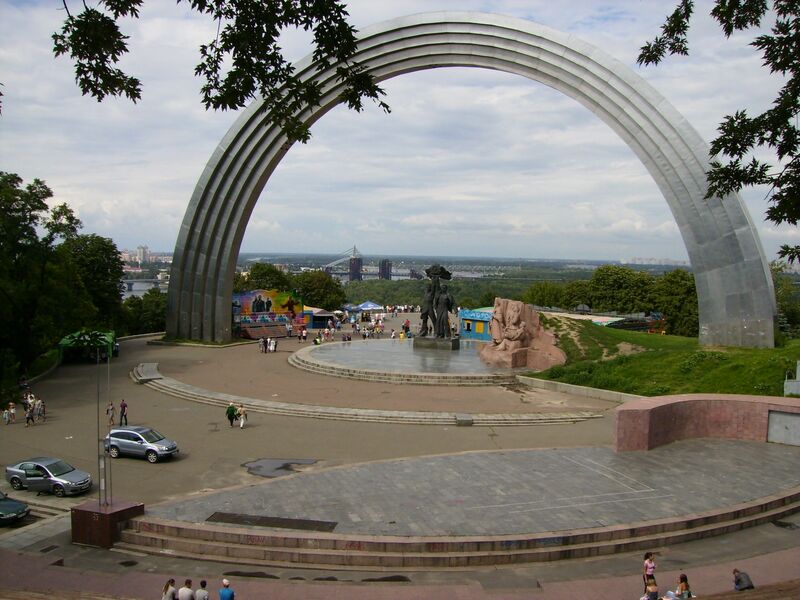 Ukrainian Culture Minister Yevhen Nyshchuk says that the Friendship of Nations Arch, a Soviet monument dedicated to the reunion of Ukraine and Russia under the 1654 Treaty of Pereyaslav, has to be dismantled, according to TV news service tsn.ua. "Now we are discussing the Friendship of Nations Arch... Under any circumstances, it has to be demolished. Such discussions are under way now," Nyshchuk said during the Pravo na Vladu political talk show, tsn.ua reported. A monument to Ukrainian soldiers participating in the Anti-Terrorist Operation, which started in eastern Ukraine early in April 2014 and continues now, may appear instead of the Arch on the Dnieper slopes. Read alsoKyiv authorities to make Peizazhna Alley more tourist friendlyIn January 1654, Hetman Bohdan Khmelnytsky called a military council in the town of Pereyaslav (modern Pereyaslav-Khmelnytsky) to settle relations between the Zaporozhian Cossacks Army and the Tsardom of Muscovy (Russia). No written treaty was concluded in Pereyaslav. An oath of allegiance to the Russian monarch from the leadership of Cossack Hetmanate was taken. The exact nature of the relationship stipulated by the agreement between the Hetmanate and Russia is a matter of scholarly controversy. The Friendship of Nations Arch was built in 1982. It consists of three sculptural elements: a rainbow-shaped arch, which is 50 m (164 ft) in diameter and made of titanium, and two statues. A bronze statue depicts Russian and Ukrainian workers holding up the Soviet Order of Friendship of Peoples and a granite stele depicts participants in the Pereyaslav Council of 1654.